Not just an Alarm system. 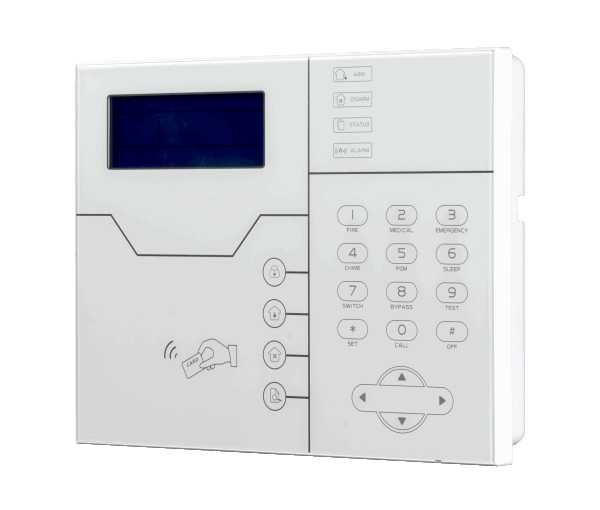 What is an Alarm system ? 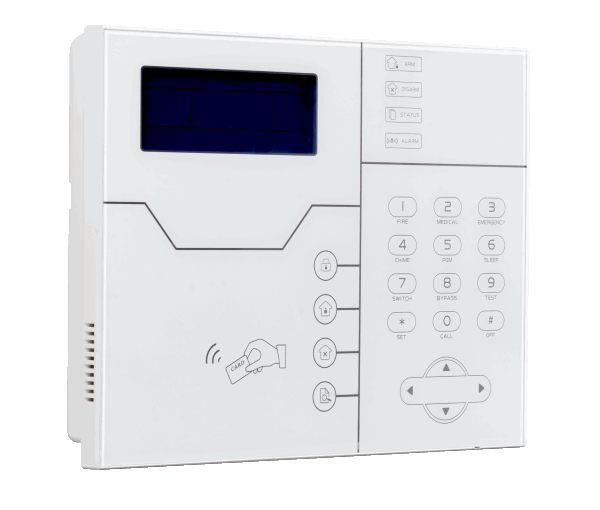 A typical intruder alarm system contains a control hub, siren, remote keys and few sensors. 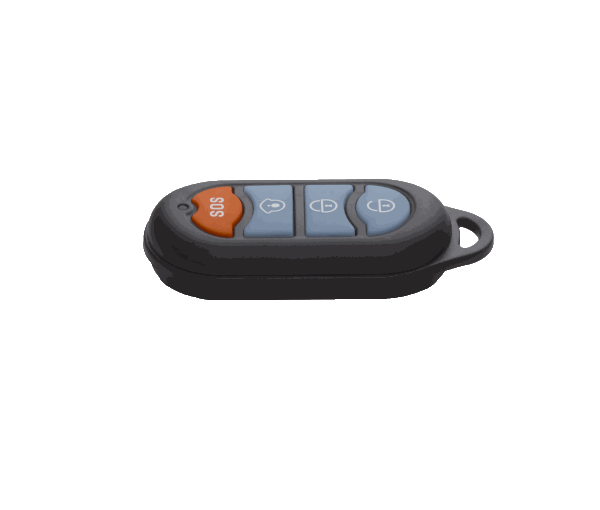 Control hub is the brain of the system with all the programming, Siren is to trigger a loud alarm if something goes wrong, Remote keys are to operate the system, and sensors are to do the main job - detecting an event! 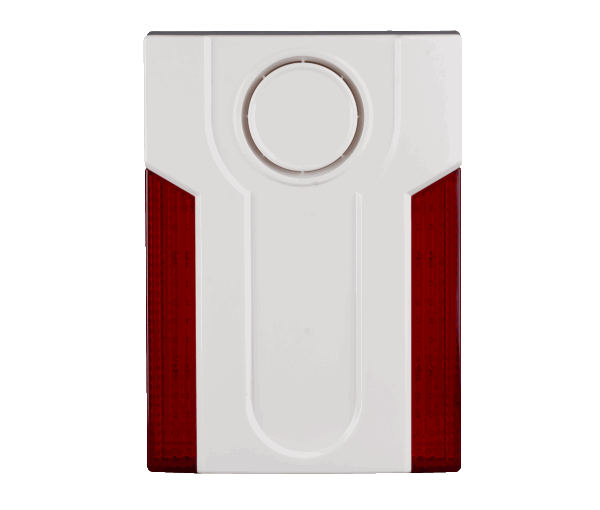 For example, door sensor can detect opening of a door, motion sensor can detect unauthorised movement and smoke sensor can detect smoke, there are many other types of sensors you can add based on your needs. 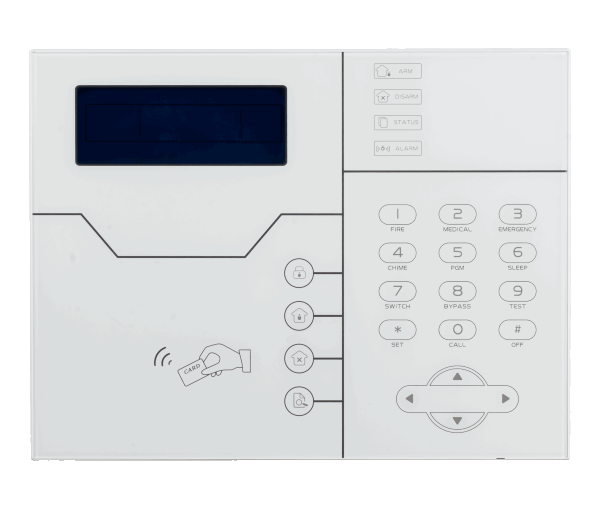 Most of the alarm systems sold in India are labelled as ‘self-monitored’, where the system can send a text message or notification in mobile app; It is important to understand that a CMS monitored alarm systems are built using much more advance technology and proprietary protocols to support CMS monitoring and can be used as both - CMS monitored as well as ‘self-monitored’ systems. What is CMS monitoring ? 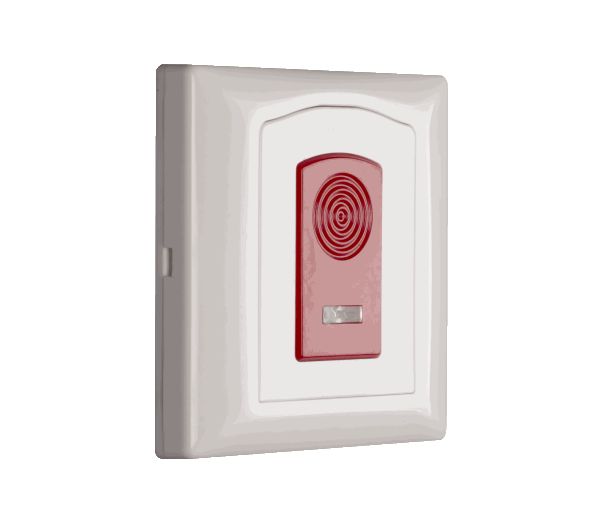 CMS Monitoring connects the alarm system in your home with our Central monitoring station or CMS. A constant heartbeat signal is sent between ‘CMS’ and ‘Alarm system’ every 30 seconds to ensure that the communication is never broken. So as soon as an event happens, the CMS receives the signal and based on defined rules, it takes the necessary action; for example, if CMS receives an alarm, the operators take immediate action to inform the key holders and other authorities, if CMS receives a signal for low battery in a sensor, operators dispatch the batteries and arrange the replacement. 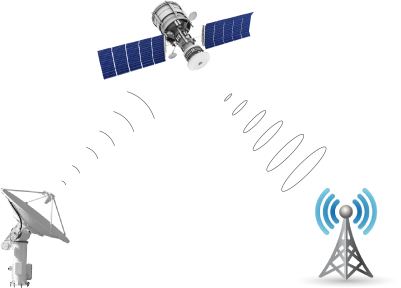 Monitoring ensures that the system is fitted with M2M data service and has multiple backup channels for communication. The crux of the story is – CMS looks after the system installed at your home 24X7, 365 days a year. Why to choose DFS ? experienced before. We offer 24X7 customer services, so if it’s 2 AM in the night or Christmas eve, you can reach us anytime. We offer price match promise so if you can find another service which has the same capabilities as ours, we will match the price difference or arrange for a refund, and you have 21 days to try the system at your home and if you don’t love it, send us back and we will give you full refund. Just remember - we are not selling another fancy gadget where once the product is sold you will not hear from us again, but a reliable service where we look after our users and systems very seriously. Click on sensors to learn about them. 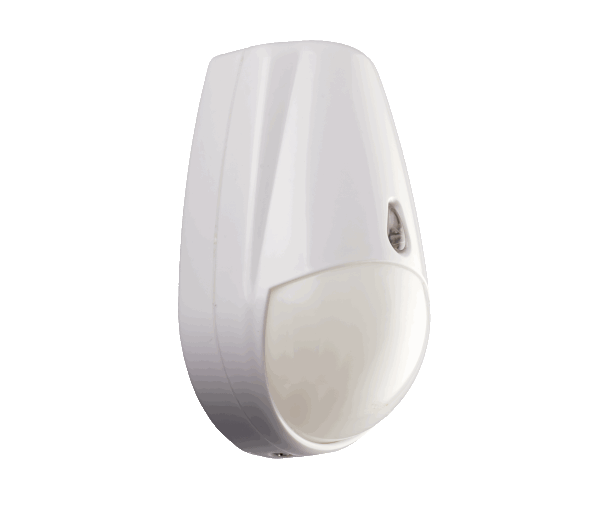 x A motion sensor uses PIR technology to detect any motion in its line of sight. It comes with tamper function and auto sleep technology to avoid false alarms and is smart enough to know if it's a family pet or thief. 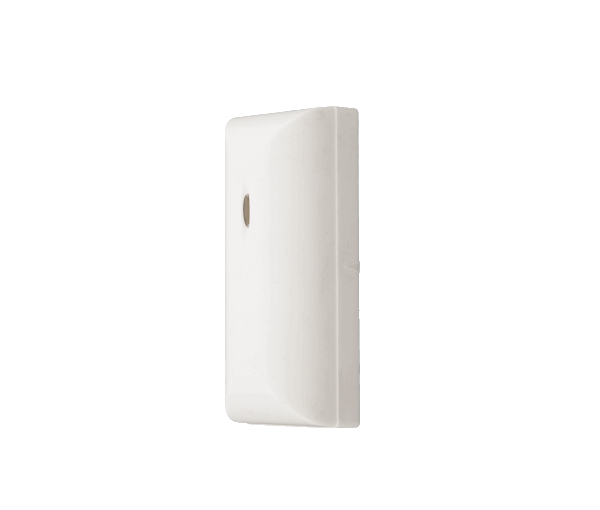 x A door sensor detects if a door is open. 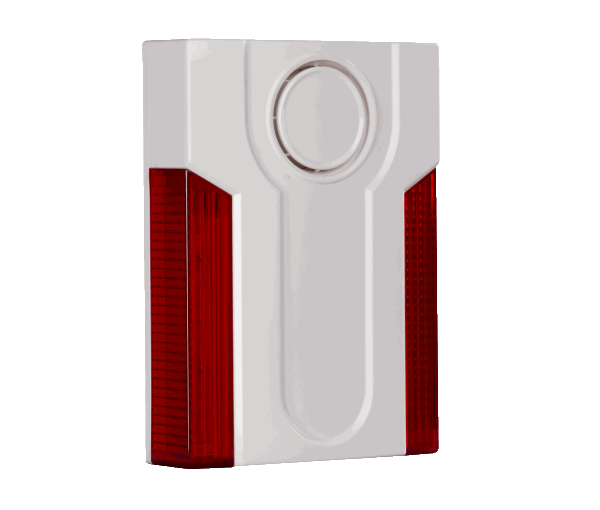 Usually, you will need this sensor on main door and on other possible entry points such as balcony. For iron shutters in shops, you will need shutter sensor which works on same principle. 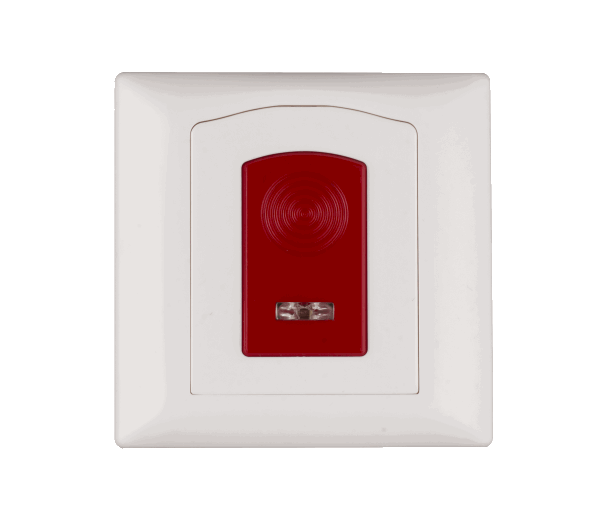 x A smoke sensor or gas leak sensor detects smoke or gas leak as a primary indication of fire or gas leak accident in a house and warns the occupants, enabling them to escape the accident or take counter measures. x The control hub is the brain of the system, this is where all the programming and configuration is done. Like other components, it comes with tamper function and has an impressive 6 hours battery backup and an inbuilt siren. x The siren is main deterrent. 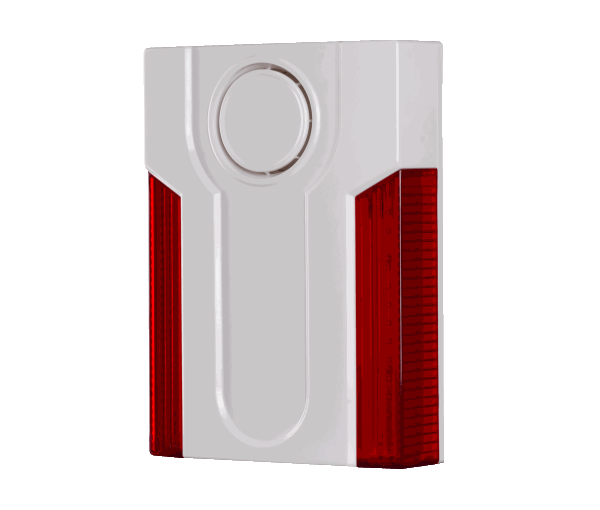 Tamper function, impressive 48 hours battery backup, and the flashing strobe can make any thief think twice before trying. 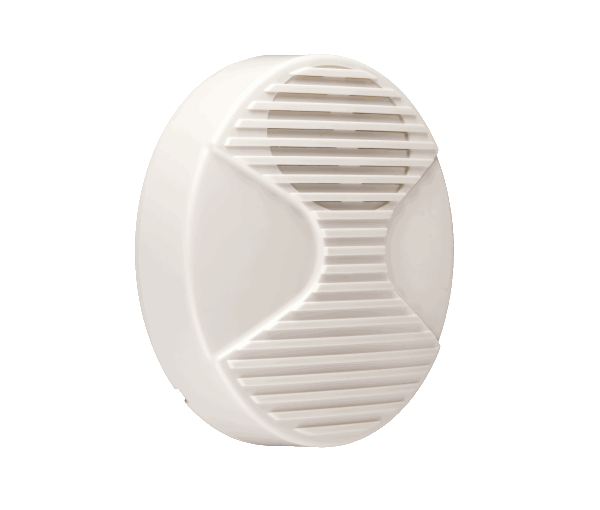 It produces 120DB loud alarm which can be heard upto half a mile. 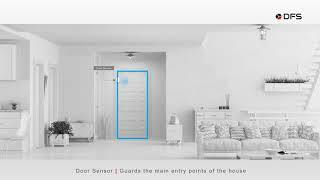 A sensor detects an unauthorised event such a door opening. Control hub informs the CMS and triggers the loud siren. Operator verifies and informs the customer & authorities. Issue is resolved and logged, operator resets the system. Heartbeat. Signal of your safety. It's what we call the constant check-ins we built into the system. It's part diagnostic, part security measure, and 100% awesome, because it means you always know everything's working the way it should. When it comes to security of our users, we never take a chance. And that’s why not just one but two backup channels come as standard. TCP-IP and M2M GPRS with VPN tunnelling as main and backup channels. 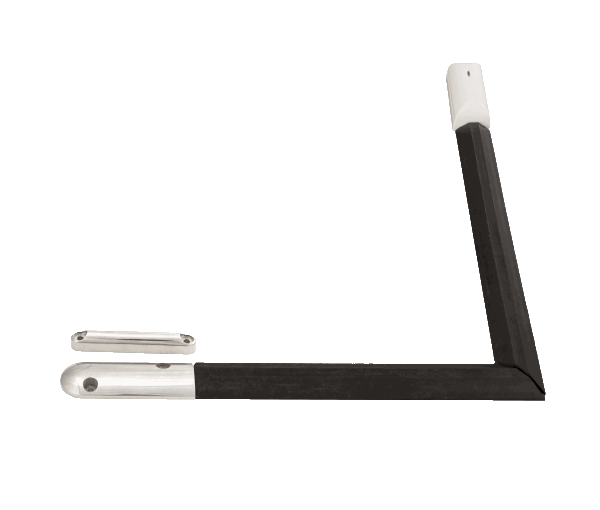 With additional GSM based low frequency communication as a separate backup. The control hub is the brain of the system and connects all the sensors with CMS. It has an inbuilt siren, impressive 6 hours power backup, tamper function, and 3 inbuilt communication channels. 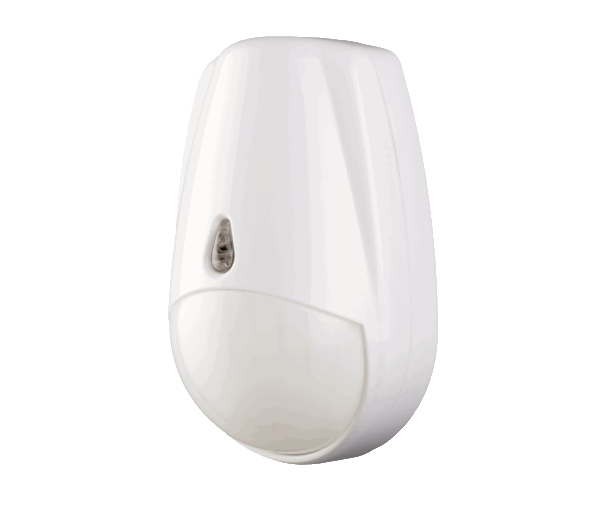 Motion sensor uses PIR technology to detect any unauthorised motion. 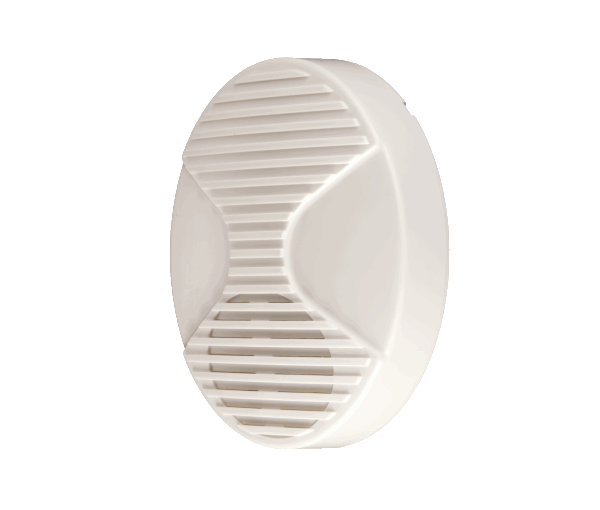 It comes with auto sleep technology, tamper function, and pet immunity. 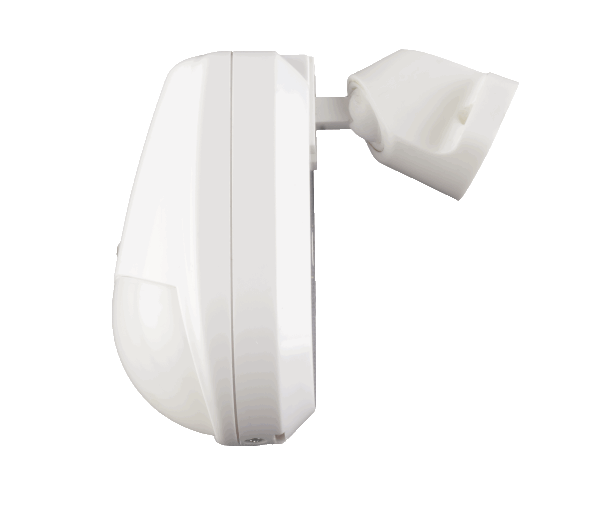 It is wireless and has 10 meters detection range. 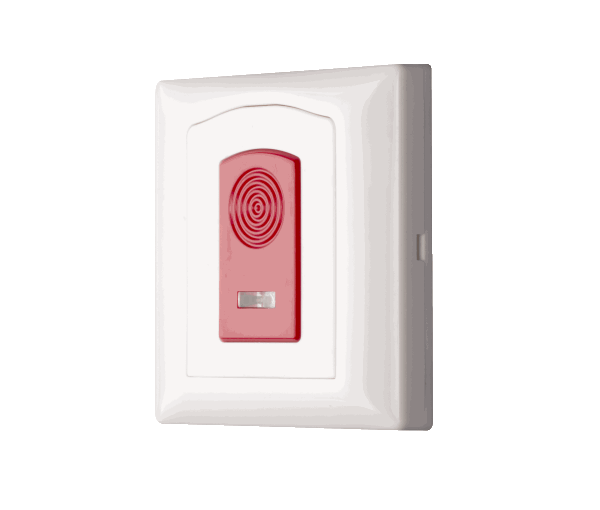 A door sensor uses reed switch technology to detect if a door is open or close. 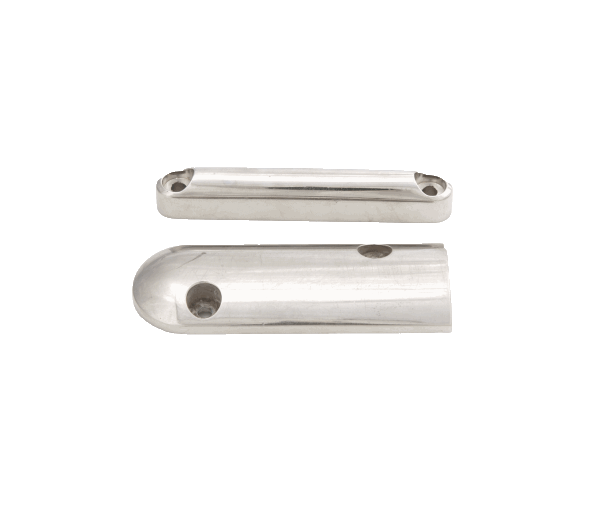 It is wireless, has tamper function, and comes in two small parts – one for the door and other for the door frame. 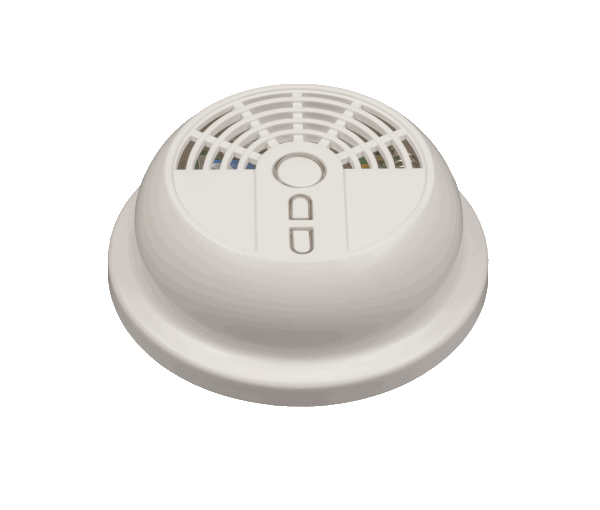 A smoke sensor detects smoke as a primary indication of fire and warns the occupants. Like all other sensors, it is wireless. It can be configured to work even when the system is not active. 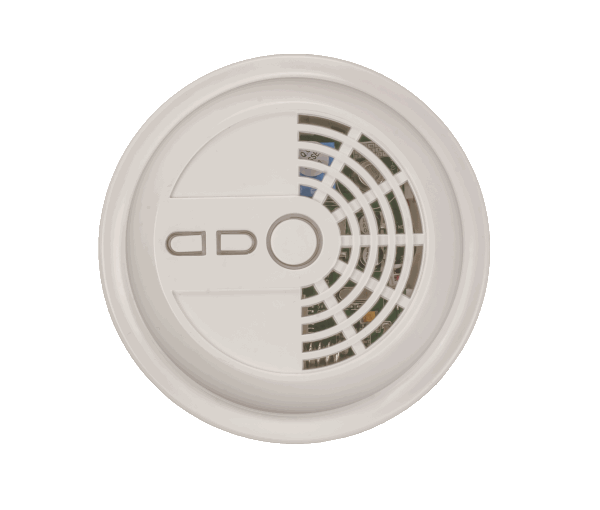 The outdoor siren is most effective deterrent. It comes with tamper function, 48 hours battery backup, and flashing strobe. 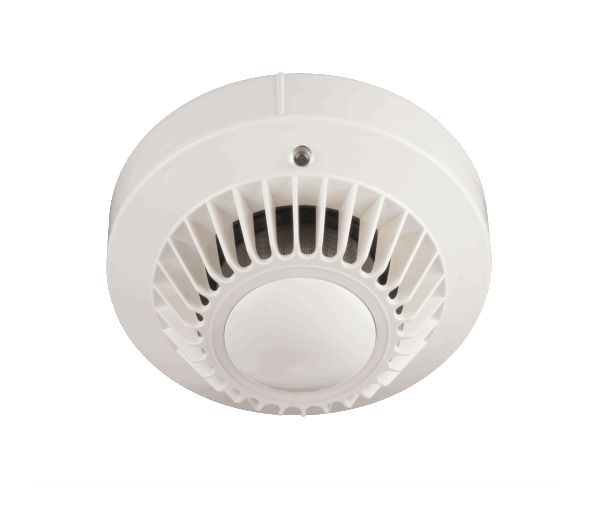 It produces 120DB loud alarm which can be heard upto half a mile. It looks like a car key and works like one. Press the lock button to activate the system and unlock button to deactivate it. 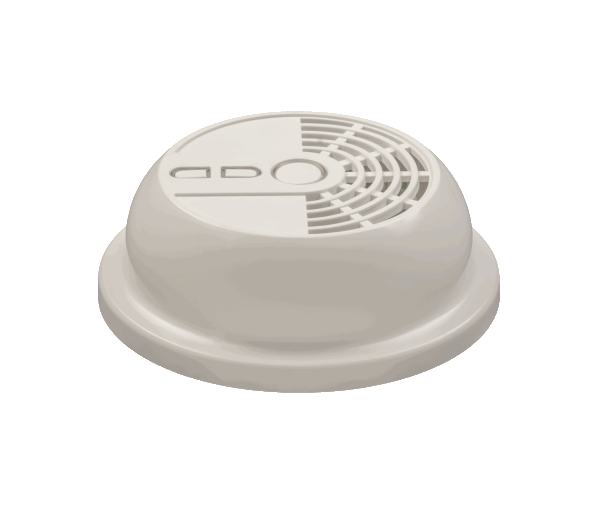 There is also a button to activate specific sensors & trigger a SOS alarm. DFS mobile app uses GSM SMS communication to activate or deactivate the system remotely and comes free with the system. So, whether you have data coverage or not, it still works perfectly. 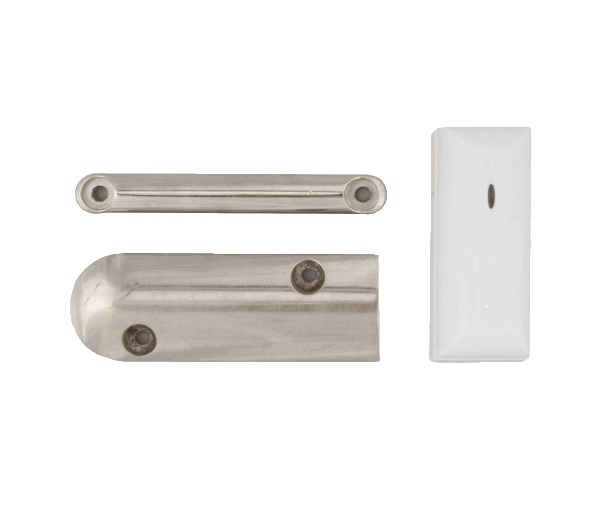 A shutter sensor works exactly in same way as a door sensor, but it is specially designed for iron shutters, mainly used in shops. 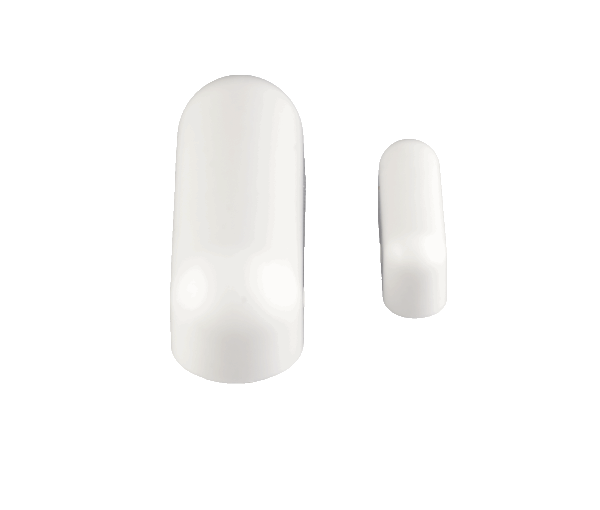 It is wireless, has tamper function, and comes in three small parts. 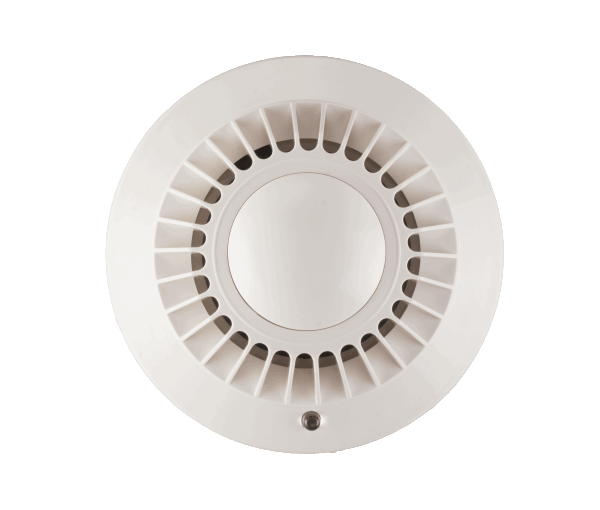 The indoor siren can produce 115DB loud alarm and is suitable for those who wants to add an extra siren along with the inbuilt siren in the control hub, it is the only wired component. 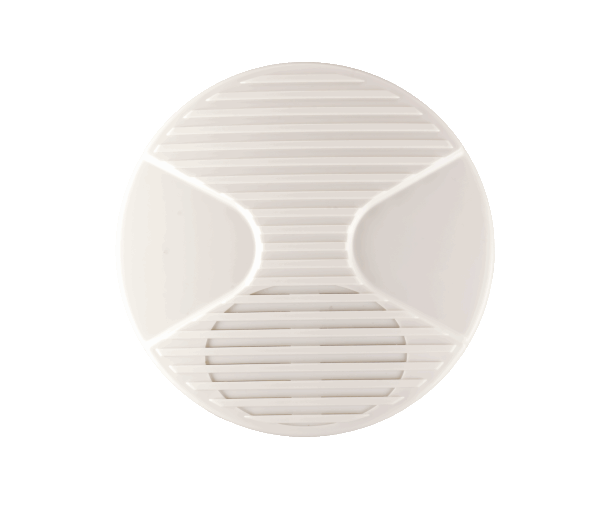 Panic button is especially useful if you have elderly at home who needs constant attention and care. 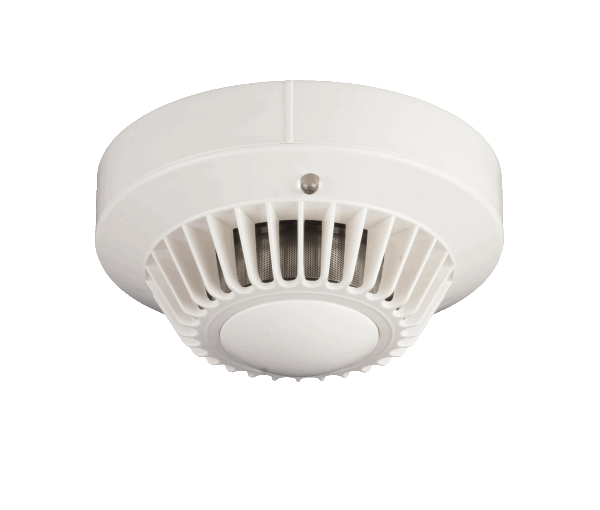 It can be configured with or without the sounding bells, based on your needs. Carbon monoxide is a silent killer and those who keeps their house warm with furnace without any ventilation, run the risk of CO poisoning. It can detect and warn the residents before its too late. Instant alerts from the central monitoring station every time you activate or deactivate the Grid (SMS sender ID: DFSIND). 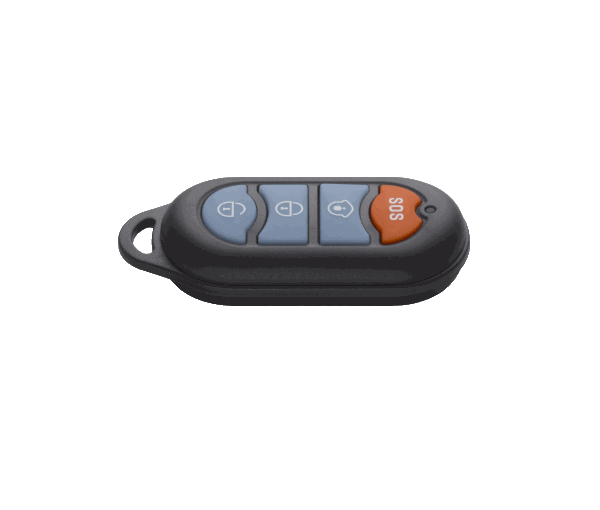 Our trained operators will contact you or any designated key holder within seconds during an emergency. 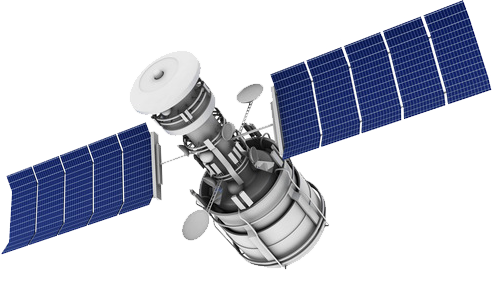 All our packages come with built in M2M sim card, you don't need any landline or internet router to connect with the CMS. The most advanced Central Monitoring Station ensures that your alarm system is monitored 24X7 a day, 365 days a year. Mobile app for remote operations, tamper proof components, 30 seconds heartbeat signal to CMS; There are many other features! Q. Does DFS also provide installation service? Yes, DFS provides installation service. While shopping for your security grid package you can add installation service to your shopping cart. Q. 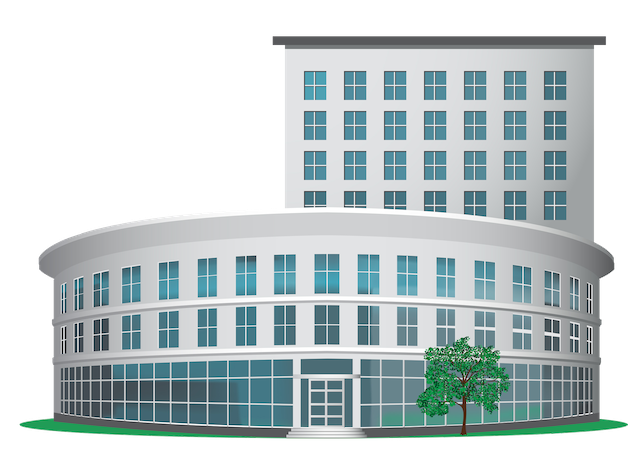 What is Demonstration, Assessments and Installation Service? If you are not sure what sensors or components you need or you want to get a demonstration before you take any decision or you are doubtful if you properly install the security grid, we would strongly recommend you to choose this comprehensive service! Once you have purchased this service from our website, we will coordinate with you and our security expert will travel to your location on the agreed date and time. He will demonstrate the security grid as well as other products such as IP cameras and Doorbells; He will then do a full assessment of your security needs and propose suitable solution. You can then discuss the solution and make any amendment if you like; once you are sure, make the payment for the chosen solution and he will install everything, then and there. Q. I just need a demo first cause I am not sure if I will buy security grid! So, why do I have to go for this full service - ‘Demonstration, Assessments and Installation’? Whether you use the appointment just for demonstration purpose or you also use it for assessment of your security needs, choosing the right solution, and getting it installed; this is entirely your decision. But the amount you pay as part of this service is to cover the time and travel cost for the security expert. This is the reason we encourage our users to get the full setup done in same appointment and get the most value for their money. However, by all means you can use this service to get the demonstration alone. Q. 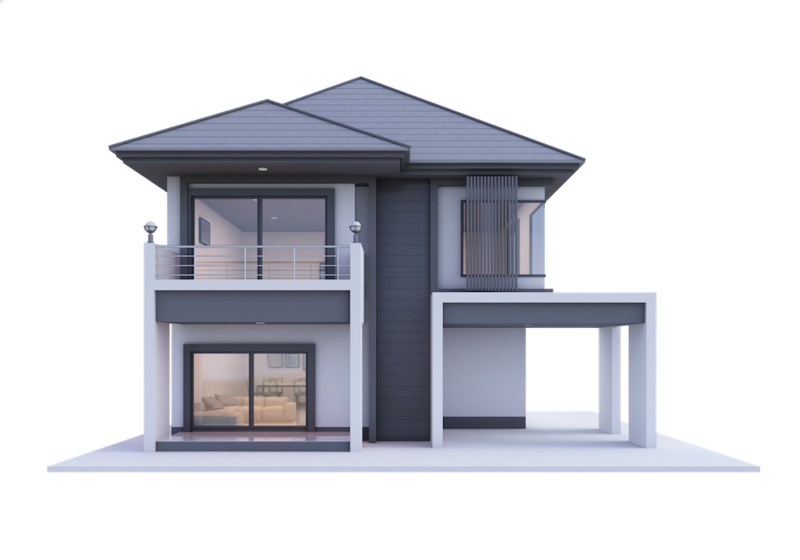 Why the charges for ‘Demonstration, Assessments and Installation Service’ or ‘Installation Service’ are non-refundable? Once a user purchases any of these services, our helpdesk confirms the date and time for the appointment and then book travel tickets, hotel, and other arrangements! Moreover they will also block the availability of that security expert on those dates. These are non-reversable tasks, and this is why there is no refund for these in-person services. Q. I have placed an order, what happens next? As soon as you place the order, you will receive the order confirmation on SMS and email. Our customer service team will get in touch with you typically within next 24 hours to discuss any specific requirements; We will keep you informed about the progress of your order and you can reach out to us in live chat or via customer services 24X7. Q. Is making a payment on DFS services website is secure? 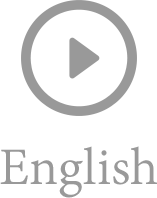 We use razor pay payment gateway who is known for the strict adherence to the regulations and financial best practice. We use SSL encryption to ensure every transaction is safe and secure. We believe in ease of access so our customer services work round the clock and so does the live chat. If you ever have any question or doubt, please do get in touch with us. We always respond. Q. What happens once the free first year monitoring is over? We strongly recommend that you renew the monitoring services to get the most out of your security grid! However, you can continue without the monitoring services, and we can reconfigure it as self-monitored solution. Q. What if I like to return the package as per 21 days return policy. How can I do that? While we are confident that anyone who uses our security solution will simply love it; but there may be circumstances where a user may want to return the package. If the need arises, just get in touch with our customer services and they will arrange for the collection. You will receive the full refund back into your account within 5-10 working days once we have received the package. Q. Why should you choose DFS Security Grid? There are few other companies who offer security alarm systems, but a security alarm system alone is not effective. Here at DFS, we have our own Central Monitoring Station and we provide 24X7 monitoring. 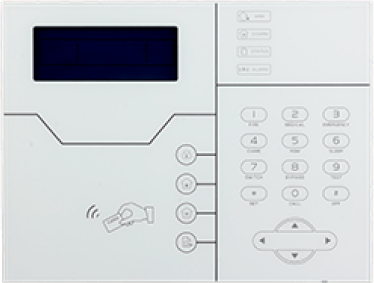 Every component of the alarm system communicates with the CMS via control hub. Every signal - be it low battery, sensor loss, tamper, or simple activation/deactivation of the grid - It all reaches to the CMS within milliseconds. A heartbeat signal is sent every 30 seconds (based on the configuration settings) to ensure that everything is working fine. We use multiple channels to connect with CMS with multiple backup methods for the critical alarm signals. All our packages come with inbuilt M2M sim, so you don’t have to worry about recharge or data subscription plans. Our customer support is excellent, we are open round the clock even on festivals like Diwali, Eid or Christmas. We offer price match promise and impressive 21 days return policy. There is a lot more to tell but we know you get the idea! Q. Why is DFS security solution better than SMS/GSM based self-monitored alarm systems? There are just too many reasons why a self-monitored system is considered much inferior and should not be compared with the monitored solution. We will cover couple of the reasons here: What happens if you’re in a business meeting and your phone is at your desk on silent? Do you travel for work? If you’re on an airplane you obviously won’t have access to your security system? Do you go for runs or exercise, Is your phone with you during your entire workout? Point is - your phone probably isn’t attached to your hip 24/7. That’s why having professionals operators at a central monitoring station looking out for your safety is important. More importantly, the real difference is in the underlying technology. 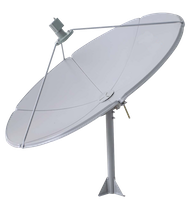 Self-monitoring system typically depends on the GSM sim card or Wi-Fi connection and are not built to provide continuous connectivity. They do not use proprietary protocols and backup methods. For example, an emergency text message may take hours during peak traffic (such as New year or Christmas eve)! On the other hand, security grid is designed to be connected continuously and is 24X7 monitored. Central Monitoring Station or CMS refers to DFS command centre. CMS can connect and monitor any compatible alarm system across the globe; The AI software of the CMS processes heavy influx of signals. On an average, CMS receive nearly 3500 signals in 24 hours from a typical home! Q. Do I need to insert a sim card into the control hub? No, all our packages come with inbuilt M2M sim card with necessary subscription plans; So you don’t have to worry about purchasing a sim card or taking a plan from mobile service provider. Q. I don't have an internet connection; can I still use the security grid monitoring? All our packages come with inbuilt M2M sim card with necessary subscription plans, our monitoring is not dependent on the Wi-Fi or internet connection or phone line at your home. Q. I don't have landline connection can I still use the security grid solution? Yes, in fact, DFS never uses landline-based monitoring approach! Landline based monitoring is ineffective and obsolete. As an example, the heartbeat signal in landline-based monitoring is typically sent once in a 24 hour unlike DFS, where heartbeat signal is sent every 30 seconds. Also, communication links in landline based monitoring are very slow and do not work 20-25 % of the time due to analog technology which forfeits the purpose of monitoring. This method was popular till 1998 due to technological limitations; however, this is completely obsolete and ineffective in current circumstances. Q. If I have an internet connection, do I still have to use the inbuilt DFS M2M sim card in the control hub? Technically, if you can connect the Control hub with the internet, you have covered just one communication channel; however, routers or Wi-Fi based connectivity is vulnerable. A router will stop working during power failure, means a burglar can compromise your security just by cutting the power supply of your home; also, the internet bandwidth will fluctuate as the same router will be used by other devices such as laptops, mobiles, smart TV etc. So, while we suggest connecting with the router, all our packages have the inbuilt M2M sim card for assured connectivity. Q. What is the battery life of sensors? Battery life of sensors is up to 2 years. Q. What will happen during power cuts, will the security grid still work? Power cuts are common in India and the system is designed to handle such situations. While we recommend a continuous power supply, our control hubs have inbuilt rechargeable batteries for the backup. Q. What is a heartbeat signal and why is it important? A heartbeat signal is a continuous signal which connects the alarm system with the CMS. At DFS, we typically use one heartbeat every 30 seconds. 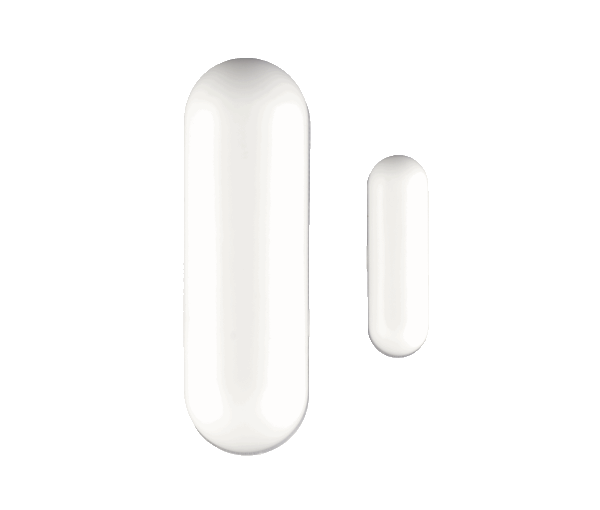 Heartbeat signals never stop and any delay in heartbeat implies immediate attention! Q. What is the free telephonic assessment service and how to avail it? You can get in touch with customer services to avail our free telephonic assessment service. As part of this service, our experts will ask a series of questions to determine your security requirements and help you build the most suitable security solution at an affordable price.